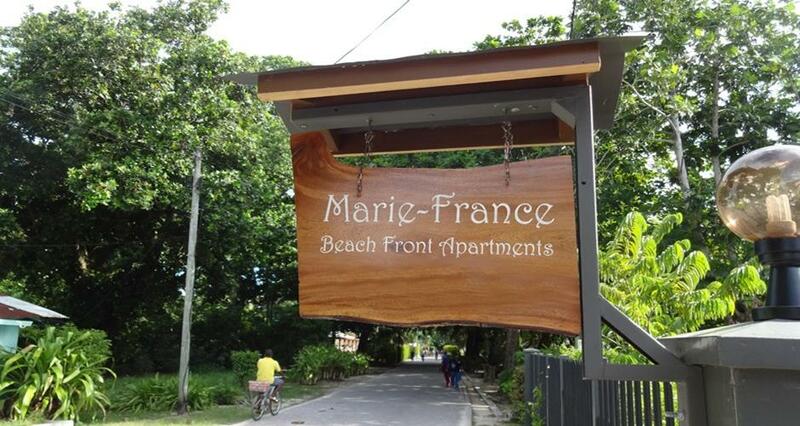 Marie-France Beach Front Apartments is located at La Passe, La Digue, Seychelles. This property in a quiet area where everything is nearby. It is 5 minutes from the jetty, the small centre where you can find restaurants, shops, bike rental station, banks and Take away shops. For exploring other beaches or the Island itself you can rent a bike or go by foot. The Beach in front of the Apartment has a vantage point to watch the local fishermen unload their catch of the day and Ideally to watch the sunset every evening. © 2016 Marie-France Beach Front Apartments. All rights reserved.